You are America's Royalty! You should have the best medical care, the best education, the best living conditions. You deserve equal to all the comforts that the Executive Branch of this country greedily enjoy at our expense. 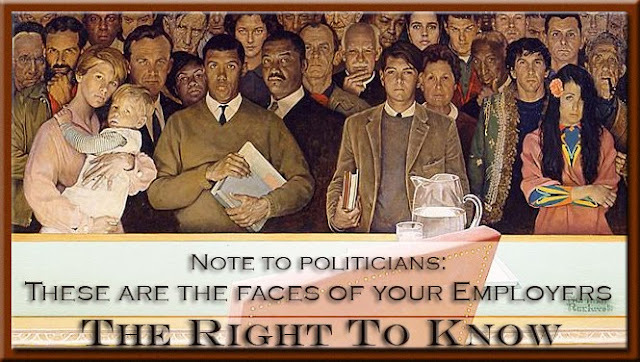 At the minimum what you get is sincere gratitude and respect from We The People. You are NOT forgotten or your sacrifices taken for granted, by the American Majority. 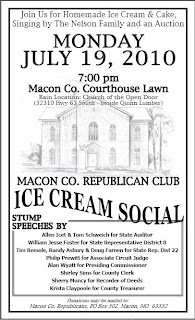 Due to circumstances beyond our control we have canceled the debate scheduled for August 1st at the Macon Expo Center. 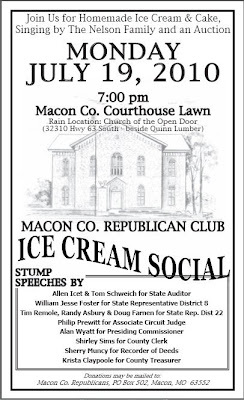 Macon County Patriots and Preserving American Liberty have and will always hold events with the utmost integrity. We sincerely feel that due to issues with-in some of the campaigning processes our event would not be able to offer We The People a quality platform to base votes on. The reasons are a whole nuther blog post for another time. 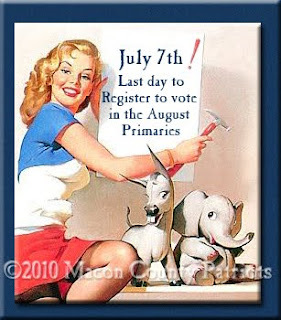 Let's get through the primaries. And they will always, eventually, find out the truth! Our nation was founded by ordinary citizen activists desiring a government that was accountable to the people. Today, ordinary citizens across our nation are tired of the status quo and are ready to engage for the betterment of their communities. American Majority's political training addresses these passions by providing education and resources to help you meet your goals. 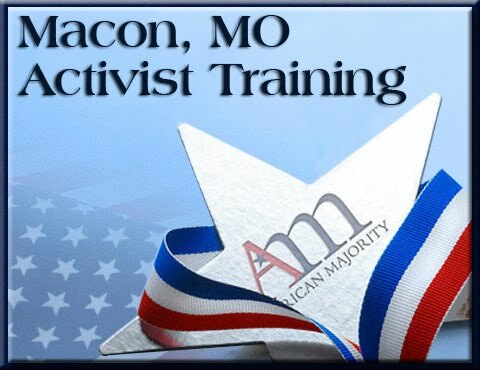 American Majority Missouri is pleased to announce Activist Training will be conducted on Saturday, July 24th in Hannibal, MO to provide citizens with the tools necessary to become effective activists. 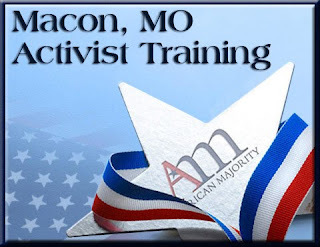 The political training will take place at Quality Inn located at 120 Lindsey Dr. off Hwy 36 in Hannibal from 8 am to 12:30 pm. The cost is $30. Pre-registration in strongly encouraged. The System- An in depth look at the system we're in, the problems we're faced with, how we got here, and what we can do about it. Government 101 - How the government structures work, what your elected officials' job descriptions actually are. Patriot 2.0 - Effectively communicating using blogs, wikis, Facebook, Twitter, and much more including traditional media. Micro Targeting Precincts and volunteering in Campaigns- Understanding your district, identifying the precincts needed to win, and understanding the voters who live in those precincts. Organizing Meaningful Events- Learn how to organize events from candidates coffees to legislative town halls, candidate forums, watch parties, rallies and more. Class includes all materials, samples and supplements will be provided to help you apply what you learn to your organization, candidate, cause or community. Pay Pal is available for credit or debit cards. You don't need a Pay Pal account yourself to use ours, or you can contact Linda Laird at 573-231-6877 or cc4truth@gmail.com to make your reservation. Reservations made by July 12th. 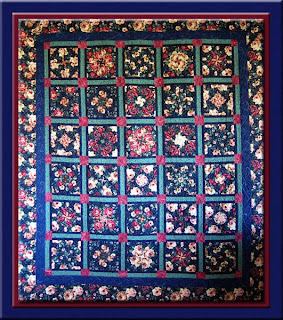 will recieve a $5.00 discount, making it just $25.00. After that it is $30 and day of event is $35. Don't hestitate to make your reservation now. Lunch is on your own. Fiddlesticks Restaurant is next to hotel and Subway is just down the street. Bring your family, friends and enjoy an evening of old fashion community fun! 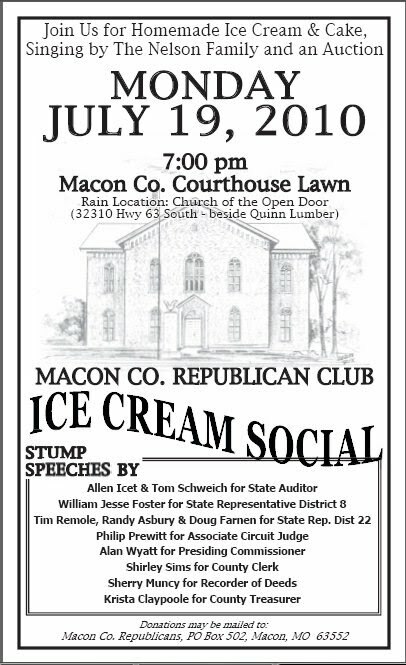 Gather the family and your lawn chairs and come join us for an evening of entertainment, ice cream, cakes, auction and fun! Come and get to know some of the men and women running for state and local offices. Chris O'Connor, MidMO 9/12 Patriots, will be there with Proposition C information. 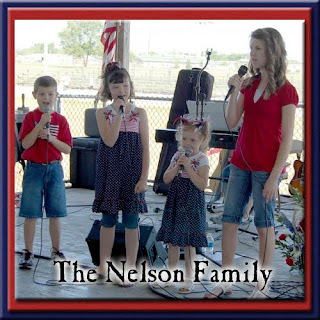 They stole the show at the Faces of Freedom Rally! Today is the last day to register to vote in the primaries, August 3rd. Every election this year is vital!! If you're not registered, if you know of anyone who's not registered, if you have a family member who was meaning to register but thought they had more time.... contact them NOW and let them know that today is the last day to register!! In Missouri, the deadline to register to vote for the first time or update your voter registration address—in time to vote in the Aug. 3rd primary—is TODAY, July 7. The application to register to vote can be found here. If mailed, this form must be postmarked by Wednesday, July 7 to be eligible to vote in the primary. If delivered in person to a county election authority, it must be received in the office of the election authority by Wednesday, July 7. If registering by mail for the first time, you must provide a copy of appropriate identification, current or valid photo ID, copy of current utility bill, bank statement, government check, or paycheck . You can check your voter registration here. 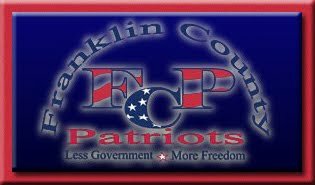 Thank you, Franklin County Patriots!